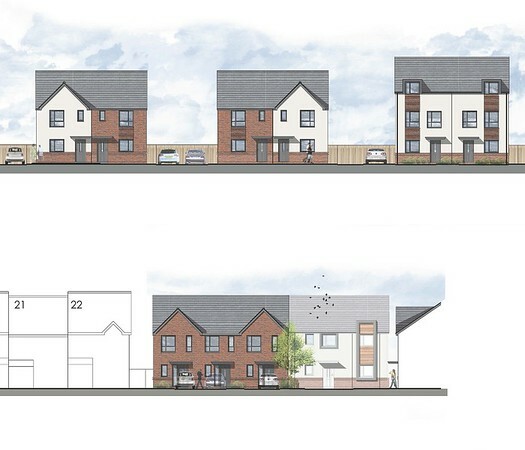 The Community Housing Group will deliver 23 new homes which will be a mix of 2 and 3 bed houses and 2 bed flats. All of the houses will be available for shared ownership and four of the flats will be for shared ownership with the other four being for rent. Demolition has started on site and the expected completion date will be by March 2020. The homes are being built by Oakleaf Commercial Services who are currently sourcing local contractors to continue their investment in the local economy.